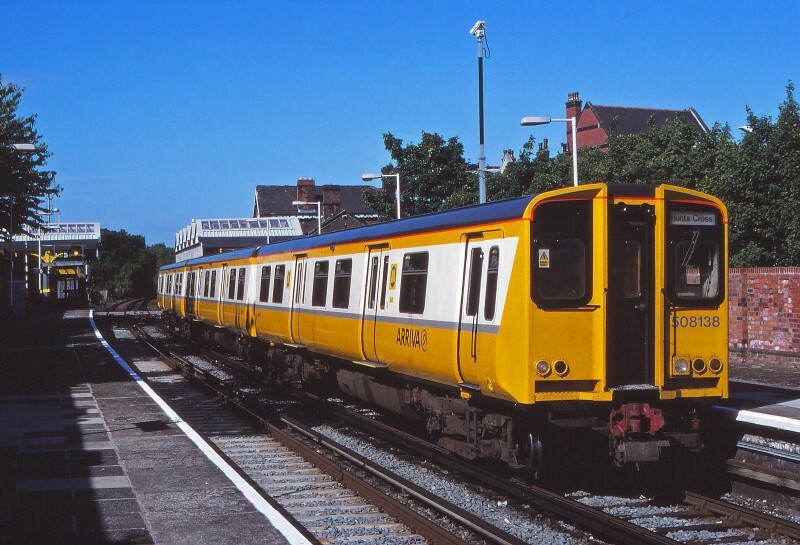 Martyn Hilbert's Railway Photography - Merseyrail Electrics - 508138 at Birkdale. In the period when Arriva ran Merseyrail Electrics, 508138 in the revised Merseytravel livery with a grey stripe and branded Arriva, stands at Birkdale whilst working from Southport to Hunts Cross on June 24th 2001. The signal is off on the down platform for an approaching Southport bound service.